In the future, humanity has been infected by a variety of fungus known as Ophiocordyceps unilateralis. Victims lose the power to think and reason, and the basic need to eat living flesh becomes paramount. For this reason, the victims are called Hungries. But they won’t eat each other, only those who aren’t infected, and with the infection being passed on through blood and saliva, it’s even more important not to get bitten. Civilisation is in ruins, and what few survivors there are, are holed up in places like the army base located somewhere outside London. It’s here that the army, apparently under the command of Sgt. Parks (Considine), is working with a scientific team led by Dr Caroline Caldwell (Close), in an effort to find a cure for the fungal infection. Their best hope? Synthesizing an antidote from the brains and spinal columns of children who are second generation Hungries. Second generation Hungries – children born with the infection – are able to think and reason but still hunger for flesh. There’s around twenty of them at the base, all kept in cells, and all kept in restraints when they attend their “schooling”. Their teacher, Helen Justineau (Arterton), is well-liked but naïve. She has a “class” favourite, Melanie (Nanua). Melanie is ten years old and very intelligent, even though she has no experience of the outside world, and she dotes on Helen as a surrogate mother. Meanwhile, Dr Caldwell is working her way through the children, using them (and then disposing of them) in her efforts to find a cure. 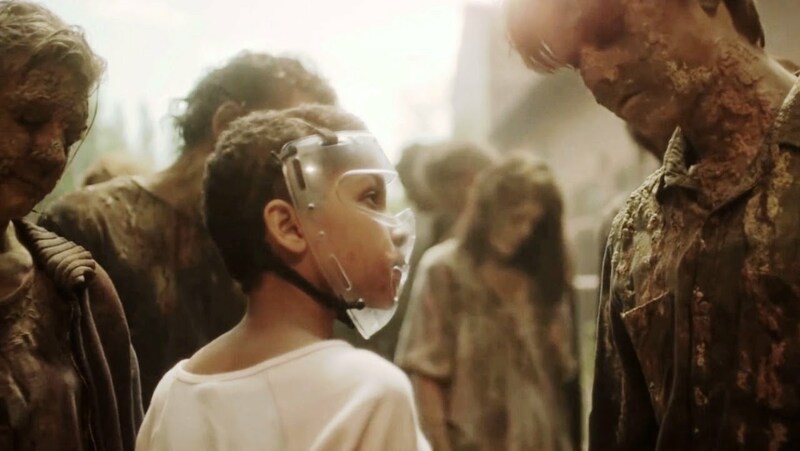 At no point in The Girl With All the Gifts is the word zombie used or referred to. 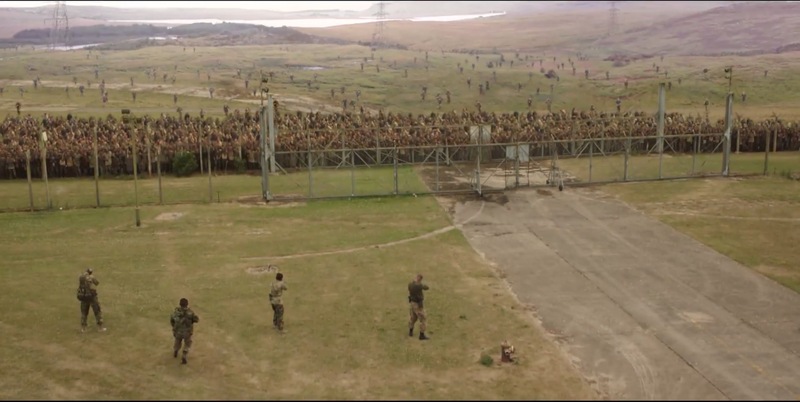 But this is clearly a movie featuring zombies, and there’s a significant amount of zombie carnage going on, but M.R. 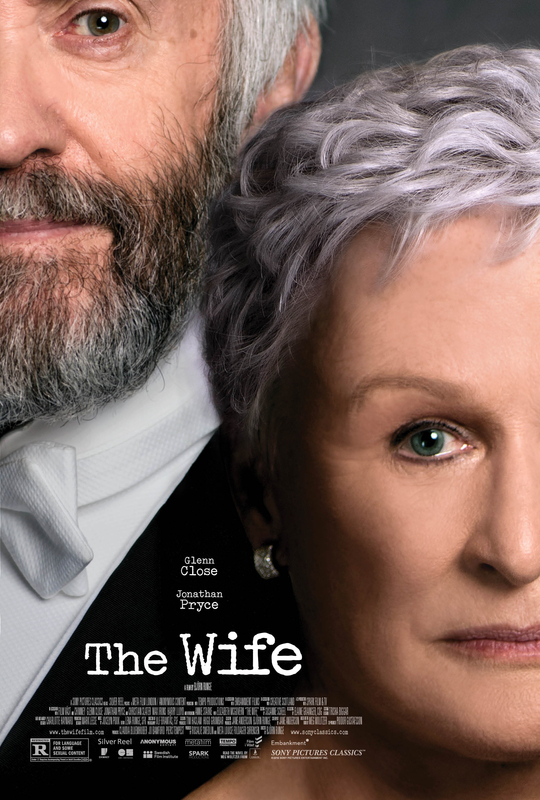 Carey’s adaptation of his novel of the same name isn’t really interested in all that. It’s an important part of the narrative, certainly, but the focus here is on watching Melanie become self-aware, and what that will ultimately mean for the non-Hungries she’s travelling with. As she learns more and more about the world she’s a part of, Carey’s best trick is to let Caldwell – so intent on doing good and saving the world – provide the impetus for the irrevocable choice that Melanie makes at the end of the movie (you’ll have to see the movie to find out what that is). Along the way, Melanie’s interactions with Parks and Helen – her default step-parents, if you like – allows her to become more emotionally aware as well. Her initial doting on Helen, a young child’s needy infatuation, becomes more intense and more meaningful. Likewise, Parks’ simmering mistrust of Melanie and her motives gives way to mutual respect and trust, and Melanie learns from this as well. 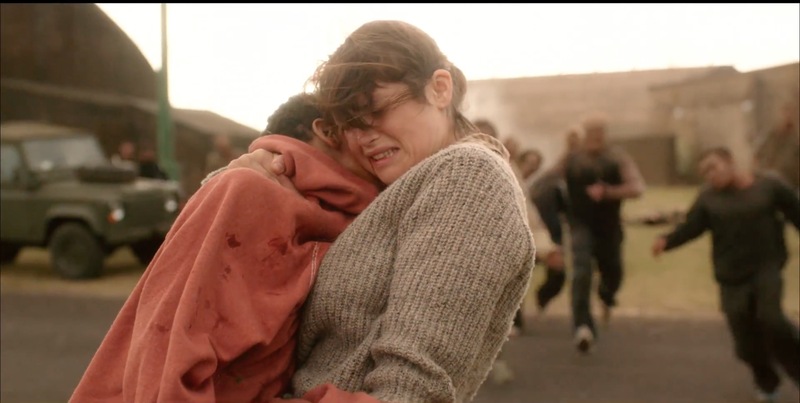 And when Gallagher is in danger from a group of feral Hungry children, it’s Melanie’s liking for him as an older brother that prompts her to insist they rescue him. All Melanie wants is to have a family around her, and even Caldwell fits into the mix as a grandmother figure. And thanks to the clarity and consideration found in Carey’s script, this need is defined without coming across as too laboured or too obvious. It’s the personal relationships that anchor the movie, along with McCarthy’s strong, confident direction (all the more impressive for this being only his second feature), Kristian Milsted’s bleak yet arresting production design, and an eerie, unsettling score courtesy of Cristobal Tapia de Veer. With zombie movies virtually ten a penny these days, and with most looking to stand out from the crowd by virtue of any gimmicky concept they can come up with e.g. Zoombies (2016), The Girl With All the Gifts avoids such narrative and structural conceits by playing it completely straight and by applying studious attention to the details (though that’s not to say the script gets it right all the time; there are a handful of decisions made by the characters that don’t always add up). The performances too are a major plus. 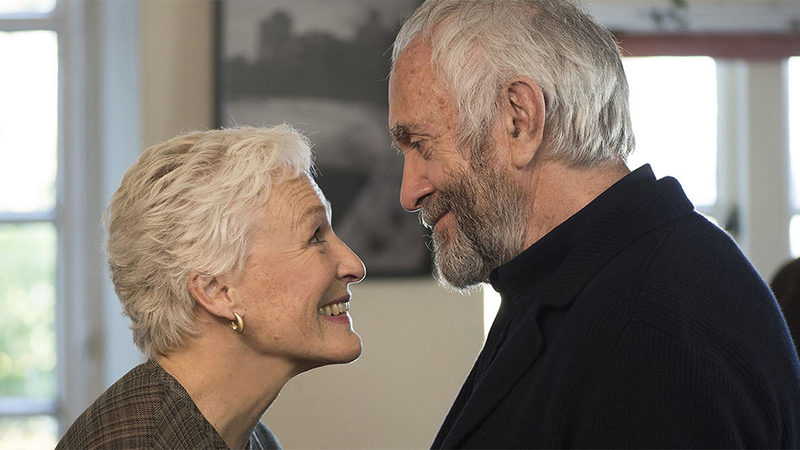 Arterton, an actress whose career has never really taken off in the way that may have been expected, plays Helen with a quiet, sincere focus that gives the character a surprising depth. Considine is on equally fine form, Parks’ initial animosity toward Melanie giving way to the already mentioned respect, and the actor revealing an emotional quality to the character that could so easily have been overlooked. 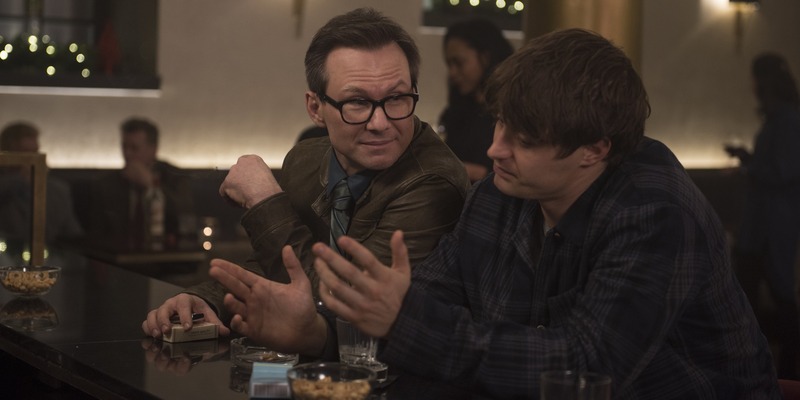 Close has the toughest role, as Caldwell’s single-minded pursuit of a cure creates more problems than it does answers, and leaves the character perilously near to being one-dimensional. But Close avoids this by imbuing Caldwell with an awareness of the cost to herself from her actions. But this is Nanua’s movie. She gives such a finely nuanced performance that it’s hard to believe that this is her feature debut. As Melanie develops both emotionally and in terms of her relationships with the adults around her, Nanua displays a maturity that is quite impressive for her age, and her understanding of Melanie’s needs and desires is often very affecting. She tempers this with a no-nonsense, direct approach that matches the mood of the movie, and which allows her to dominate the scenes she’s in, making her more than a match for her more experienced co-stars. Wherever her career takes her, Nanua is off to a very good start, and her portrayal here is award worthy. 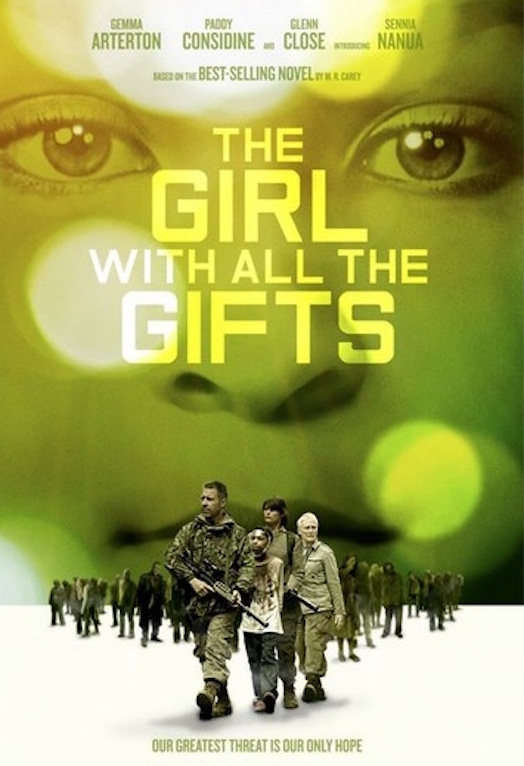 Rating: 8/10 – a post-apocalyptic thriller that boasts a clutch of very good performances and a tremendous sense of time and place, The Girl With All the Gifts is a surprisingly effective, and affecting, movie that breathes new life into a mostly moribund genre; it may not be the prettiest movie to watch, and it doesn’t shy away from being uncompromising when needed, but this is a genuinely rewarding movie that shouldn’t be missed.